Tony Perkins, Family Research Council: Halfway around the world, Chen Guangcheng is giving Americans someone else to remember on this National Day of Prayer. The blind activist, who made a daring escape to the U.S. Embassy last Sunday, is in the hospital, deciding whether he should take his family and flee the only home he's ever known. After Chinese authorities tied his wife to a chair for two days and threatened to beat her to death, Chen's "view of what the best thing is [for his family] may be changing." For days, the man who crusaded to end the government's forced abortions and sterilizations wanted to stay in China and keep up the fight. Now, concerns for his safety and the safety of his family may force him to reconsider. "I would like to say to President Obama, please do everything you can to get our family out," Chen told CNN. His plea came on the heels of some conflicting reports about how U.S. officials had handled the situation--including Chen's criticism that he had been pressured out of the Embassy and abandoned at the hospital, where he was recovering from injuries from his late night getaway. "The Embassy kept lobbying me to leave and promised to have people stay with me in the hospital, but this afternoon, as soon as I checked into the hospital room, I noticed they were all gone." Chen also tried reaching out to Rep. Chris Smith (R-NJ), one of Congress's staunchest human rights advocates, but the Embassy never scheduled a call. Now, Rep. Smith, who has tracked Chen's case for years as co-chair of the Congressional-Executive Commission on China, is leading the effort to protect his family. Before this afternoon's emergency hearing on the Hill, Congressman Smith made it clear that "[This] is a test of America's resolve to safeguard human rights whenever and wherever those rights are violated." 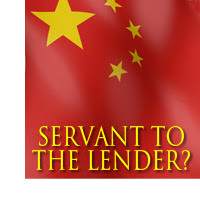 America's lost its leverage in these situations when we put our country in the awkward position of indebtedness to China (which owns at least $1.6 trillion of the U.S. debt). We traded away our ability to act as the "city upon a hill" because the government refused to live within its means. America, once a muffled voice of support for China's persecuted under President Bush, has fallen silent under this administration--for fear of the economic repercussions. Now, pro-life advocates like Chen and his family are being beaten and tortured while the leaders of liberty fumble through negotiations for their release. Although China's culture of oppression didn't happen overnight, it's another example of where this "economic first" mentality will lead us as a nation. The United States has been a beacon for spiritually and financially repressed people around the globe--but the flame of that light is flickering as America becomes servant to the lender (Proverbs 22:7). Let's pray tha t America finds her voice again in proclaiming hope to those yearning to be free. Kneeling for Healing: Could there be a starker contrast to China's oppression than what's happening in America today: 24 hours of national prayer? While others can only dream of freedom, May 3 should be a meaningful reminder that America 's Christian inheritance is ours to celebrate--and ours to preserve. Today, we recognize that n o piece of legislation or ruling from the courts is more capable of changing this nation than millions of people on their knees before God. 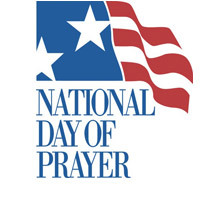 As part of the National Day of Prayer, join us in asking the Lord's blessing on our President, Congress, the courts, and the entire country. And while you're exercising the freedom that so many Christians around the world long to enjoy, lift up a prayer for them. The persecuted church is not as far away as we think. Tags: Chen Guangcheng, blind, anti-abortionist, forced abortions, China, no freedom, National Day of Prayer, America, Family Research Council, Tony Perkins To share or post to your site, click on "Post Link". Please mention / link to the ARRA News Service. Thanks!